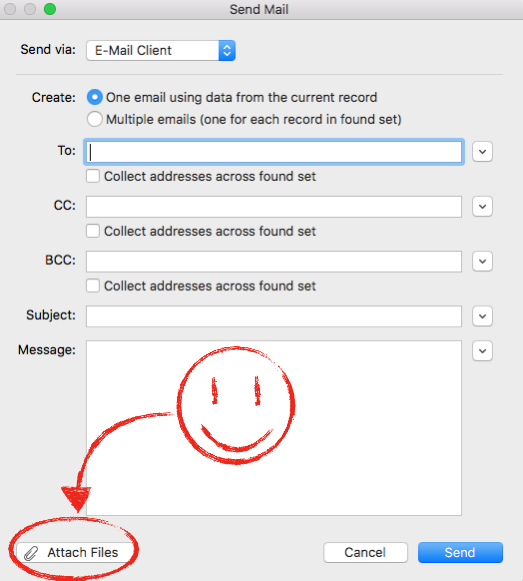 You can invoke this option manually during the Send Mail process or you can program it using the calculation engine in FileMaker 17, just as you would any other file importing/exporting step. Well with FileMaker 17, if the folder isn’t there, it will automagically create it! All you have to do is specify the “Create directories: On” option located on all the export/save file script steps. There are a lot of cool new features in FileMaker 17. Interested in upgrading your app? Let's chat!